Here you can see the latest news on what Benjamin has been up to. 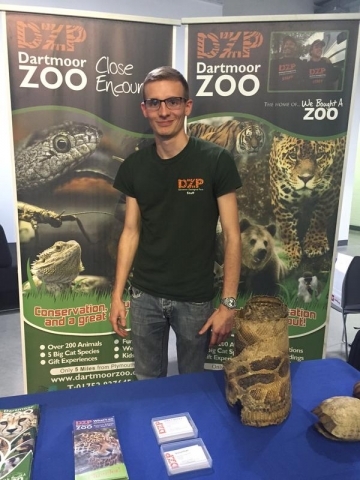 On 8th September Benjamin and Tom James, Acting Head of Education at Dartmoor Zoo, headed to Plymouth University to take part in a networking event aimed at supporting veterans find work and employability skills. The Zoo is able to provide the employment authorities with satisfactory reassurance that any volunteers claiming benefits are readily available for interviews, and that they do not receive any financial or other benefits that might conflict with the terms of the unemployed status. As a consequence it are able to provide willing volunteers with meaningful work experience, including where appropriate, semi-skilled work, and they are happy to provide references for prospective employers. Successful volunteer arrangements form an important part of what the Zoo does, both in terms of day-to-day operations and in meeting their commitment to ensure that Dartmoor Zoo contribute to human well being as well as animals. The event was a great success and hopefully many Veterans who attended made some great connections. 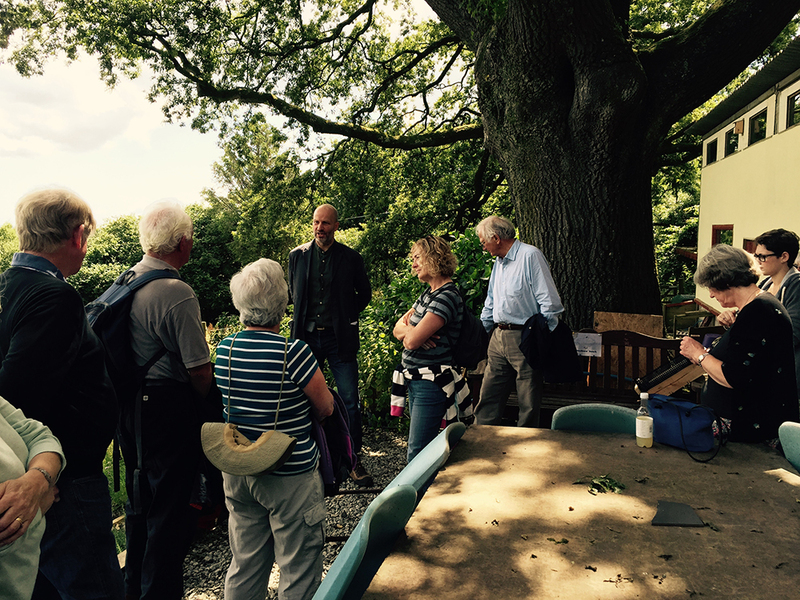 Following on from the talk Benjamin conducted on Biophilia for the Plymouth Medical Society earlier this year, Benjamin was pleased to welcome some of the members to the Zoo on their Annual Walk day. 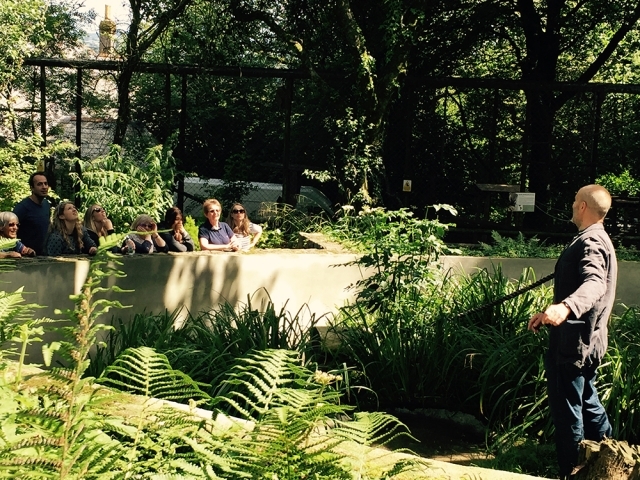 The Society was shown around by Benjamin, who spoke more about the research being conducted at the Zoo and his interest in Biophilia, the positive impact that nature has on health and mental wellbeing. Grow 4 Good was a main point of the tour - this wonderful charity based on site at the Zoo take GP referrals as well as volunteers and social services referrals and have helped a great many people reduce their depression and anxiety through gardening, as well as improve social skills. He's very much looking forward to it. Keep an eye out for more information on the topics that will be discussed, but in the meantime you can visit the website to learn more. Update: Tickets sold out within 10 hours of going on sale! If you still want to be in with a chance to go to TEDx Totnes you can click here. Over 20th and 21st June Plymouth University threw open their doors to show case the campus and held a host of exciting events including the Plymouth Respect Festival. 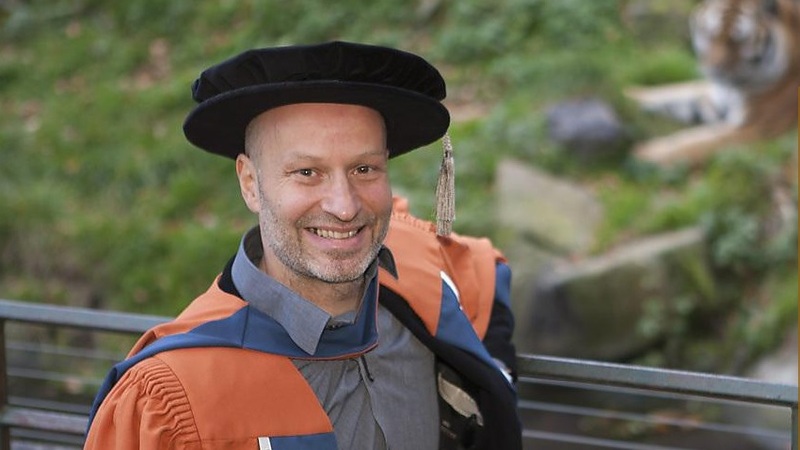 Benjamin received an honorary doctorate by Plymouth University in 2013 and has exciting research projects in the pipeline for the future in collaboration with them. On 20th June Benjamin headed to Westminster Hall to conduct a speech and present diplomas to graduating Veterinary nurses for Central Qualifications. The Veterinary profession is one that is vital to the support of the Zoo and its animals and so Benjamin was very honoured to be asked to present these diplomas to people starting off in their valuable careers. Congratulations to all and best of luck! 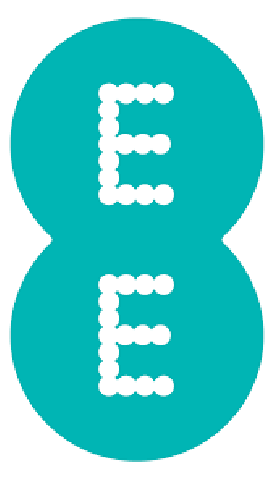 On 15th May Benjamin headed to EE offices in London to conduct a talk to some members of the leadership team as part of the Leadership Development Programme. 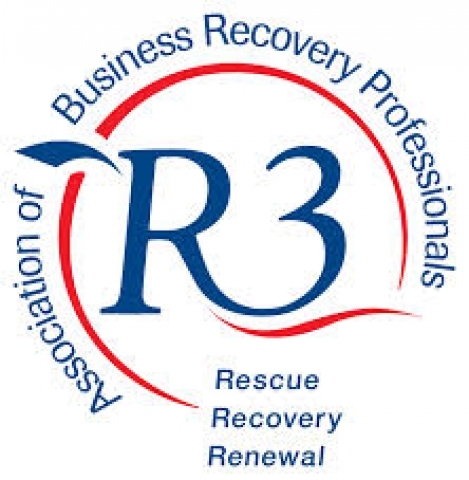 On 23rd April Benjamin headed to Birmingham to conduct a talk for R3, the Association of Business Recovery Professionals. R3 help turn around businesses, something close to Benjamin's heart having himself experienced the turmoils and consequences of a lack of financial support for many years. Businesses are a lifeblood and should be supported during the difficult financial period for the sake of all the people involved, as well as to support the economy. "Please pass on my sincere thanks to Ben for speaking yesterday. He was honestly the best speaker of the day and everyone really enjoyed his inspirational and exceptional story."